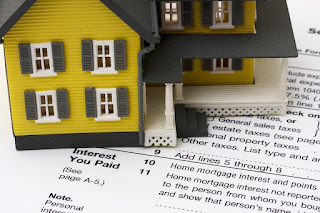 Lexington Houses Blog: 9 Tax Mistakes to Avoid for Your Lexington Home! For many of us, tax season is on our minds and April 15 seems to be quickly approaching! If you area a Lexington home owner for the first, you may be wondering about all that’s entailed with taxes for your new home. Or, for those of you who’ve enjoyed living in Lexington for some time; you will want to take a few moments to read on about getting the most from this years’ tax return and to prevent any of the common mistakes. Owning a home in beautiful Lexington MA is a great experience and, as a Lexington Real Estate agent for a number of years, part of my goal is to help home owners get the most out of living in Lexington. With tax day looming you will want to review the following nine common mistakes, as pointed out by HouseLogic, that keep homeowners from getting their full refund or that may cause questions from the IRS. Mistake #1: Deducting the wrong year for property taxes- You take a tax deduction for property taxes in the year you (or the holder of your escrow account) actually paid them. Some taxing authorities work a year behind—that is, you’re not billed for 2011 property taxes until 2012. But that’s irrelevant to the feds. Enter on your federal forms whatever amount you actually paid in 2011, no matter what the date is on your tax bill. Dave Hampton, CPA, tax manager at the Cincinnati accounting firm of Burke & Schindler, has seen home owners confuse payments for different years and claim the incorrect amount. Mistake #2: Confusing escrow amount for actual taxes paid- If your lender escrows funds to pay your Lexington property taxes, don’t just deduct the amount escrowed, says Bob Meighan, CPA and vice president at TurboTax in San Diego. The regular amount you pay into your escrow account each month to cover property taxes is probably a little more or a little less than your property tax bill. Your lender will adjust the amount every year or so to realign the two. Mistake #3: Deducting points paid to refinance- Deduct points you paid your lender to secure your mortgage in full for the year you bought your Lexington home. However, when you refinance, says Meighan, you must deduct points over the life of your new loan. If you paid $2,000 in points to refinance into a 15-year mortgage, your tax deduction is $133 per year. Mistake #4: Failing to deduct private mortgage insurance- Lenders require home buyers with a down payment of less than 20% to purchase private mortgage insurance (PMI). Avoid the common mistake of forgetting to deduct your PMI payments. However, note the deduction begins to phase out once your adjusted gross income reaches $100,000 and disappears entirely when your AGI surpasses $109,000. Mistake #5: Misjudging the home office tax deduction- This deduction may not be as good as it seems. It often doesn’t amount to much of a deduction, has to be recaptured if you turn a profit when you sell your Lexington home, and can pique the IRS’s interest in your return. Hampton’s advice: Claim it only if it’s worth those drawbacks. Mistake #6: Failing to track home-related expenses- If the IRS comes a-knockin’, don’t be scrambling to compile your records. Many people forget to track home office and home maintenance and repair expenses, says Meighan. File away documents as you go. For example, save each manufacturer's certification statement for energy tax credits, insurance company statements for PMI, and lender or government statements to confirm property taxes paid. Mistake #7: Forgetting to keep track of capital gains- If you sold your main home last year, don’t forget to pay capital gains taxes on any profit. However, you can exclude $250,000 (or $500,000 if you’re a married couple) of any profits from taxes. So if you bought a home for $100,000 and sold it for $400,000, your capital gains are $300,000. If you’re single, you owe taxes on $50,000 of gains. However, there are minimum time limits for holding property to take advantage of the exclusions, and other details. Consult IRS Publication 523. Mistake #8: Filing incorrectly for energy tax credits- If you made any eligible improvements, fill out Form 5695. Part I, which covers the 30%/$1,500 credit for such items as insulation and windows, is fairly straightforward. But Part II, which covers the 30%/no-limit items such as geothermal heat pumps, can be incredibly complex and involves crosschecking with half a dozen other IRS forms. Mistake #9: Claiming too much for the mortgage interest tax deduction- You can deduct mortgage interest only up to $1 million of mortgage debt, says Meighan. If you have $1.2 million in mortgage debt, for example, deduct only the mortgage interest attributable to the first $1 million. I hope that by seeing these common mistakes, you can avoid them! I’d be happy to answer any questions you may have about living in Lexington, the Lexington Real Estate market or if you’re ready to begin searching for your next home! Thanks for give a informative post to aware in future and not to make mistake and get right benefit.